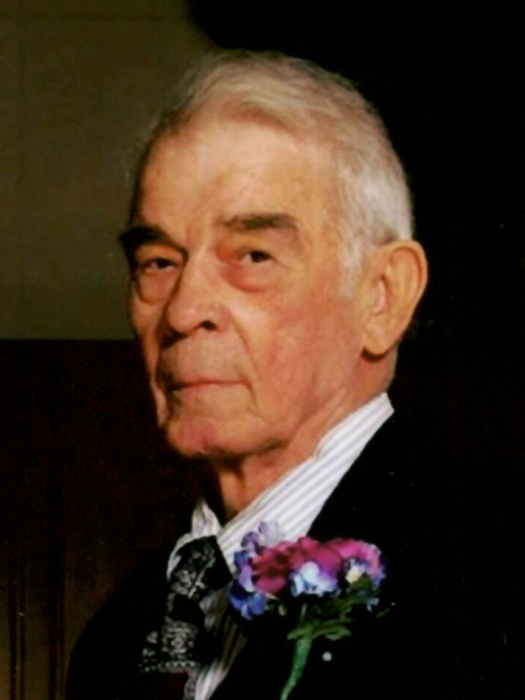 Don Evinger, 90, of Bismarck, passed away February 4, 2019. A private family burial will be held at Mandan Union Cemetery. Family will be receiving friends today, February 6, from 5:00 to 8:00 PM at Weigel Funeral Home, Mandan. Don was born on March 31, 1928 to Frank and Lottie (Norman) Evinger in Sugar Creek, Missouri, where he was raised and educated, graduating from Northeast High School in Kansas City, Missouri. In 1948, he married his high school sweetheart, Mary, in Independence, Missouri. Don served in the United States Navy as Seaman First Class and was honorably discharged in 1947, then served in the Navy Reserve until 1955. He was also a member of the American Legion. Don transferred from the Sugar Creek Standard Oil Company Refinery to the Mandan Refinery where he retired in 1984. Don and Mary moved to Rogers, Arkansas, where they spent twenty-eight of their retirement years enjoying Don’s old hunting and fishing grounds. They recently moved back to Bismarck where he was able to create memories with his great grandchildren. Don will be deeply missed by his loving wife of 71 years, Mary; son, David (Lynn) Evinger, of Minneapolis, MN; daughter, Cindy (James) Doll of Bismarck; 5 grandchildren, Mark (Tasha), Lora, Thea, Amanda (Kyle), David (Beth); 4 great grandchildren; and nieces and nephews. He was preceded in death by his parents; one daughter, Sheila; granddaughter, Samantha; two brothers, George and Earl; and sister, Bettyfrank. Please go to his Tribute Wall to sign the online guestbook and share memories with Don’s family.